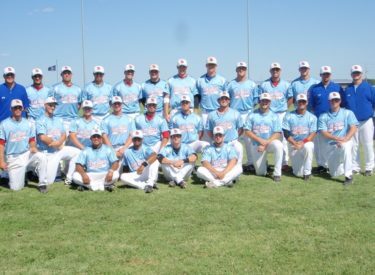 The Liberal Bee Jays have had too many pitching defections and injuries to stand pat with their roster for the NBC World Series. Parker Markel signed with the Rays, Christian Kowalchuk and Hernan Ramos are injured, and John Niggli and Brandon Ward-Hersee left the team in mid July. The Bee Jays have added four pitchers and are looking for a fifth. Former Bee Jay and Saint Jared Wagner will join the team after K-State’s Tyler Sturgis, Jake Doller, and former BJ Brandon Faulkner join the team. Doller and Sturgis played for Junction City. Sturgis beat the BJ’s last Friday. The 31-13 BJ’s open play at the NBC World Series Sunday night at 7:30 at Lawrence Dumont Stadium in Wichita. They play the 16-3 Austin Gold Sox. The game will air on Talkradio 1270 and kscbnews.net.